Exotic Italy is an online tour operator for tours and hotel reservations in Italy. We are a team of tourism professionals aiming to provide the top quality tour services in Italy. We have partners in all parts of Italy who offer us the best hotels and tour rates and provide our customers a personal service all the times. Touroperator in Italy, handling all sorts of tours Including wine testing tours of Italy, Archeological tours in south Italy. 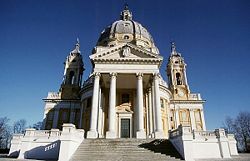 We handle special interests tours, conferences incentives and all types of business tours in Italy. our services are always available to you from our web site just contact us and we will reply you promptly. Exotic Italy Tours has partners is all parts of Italy who help us offer the best possible tours all over the Italy. From Rome to Florence and from Florence to Venus we have special hotel rates with all the hotels and have superb services for tours. We have English russian & Japanese speaking Guides.